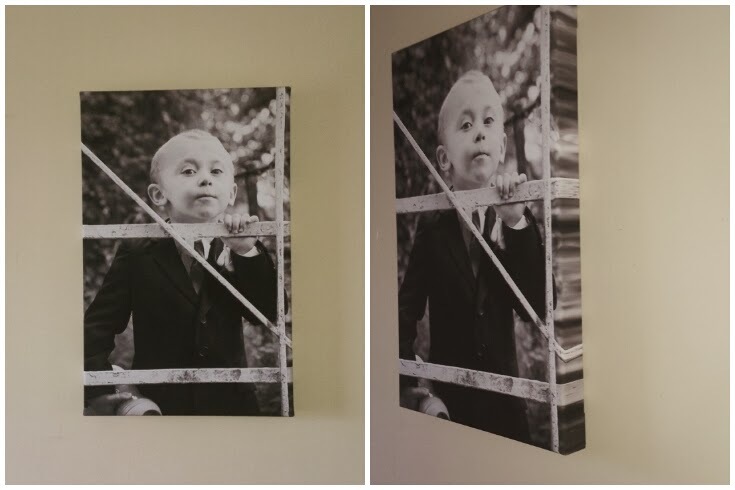 I was recently given the opportunity to review a canvas from CanvasdesignUK. Canvas Design is one of the UK’s original canvas printing companies specialising in making custom Canvas Prints at an affordable price. They have been printing canvas prints since 2004 now and some of their exclusive customers in the past have included DVB, BBC and they have featured on ITV's 60 Minute Makeover. Canvasdesign frames start at 6inches and go all the way up to 40inches and their pricing is from £7.99. I chose an image of James from our wedding and here it is! The quality of the canvas was great! The image was crisp and clear and looked exactly like the original image I supplied with no effect to the quality of the image. The delivery of the item was super! I ordered my canvas Thursday, I received a text message Friday to tell me my canvas would be here Monday aswell as giving me the options of texting back for a different delivery day or to leave the package with a neighbour! 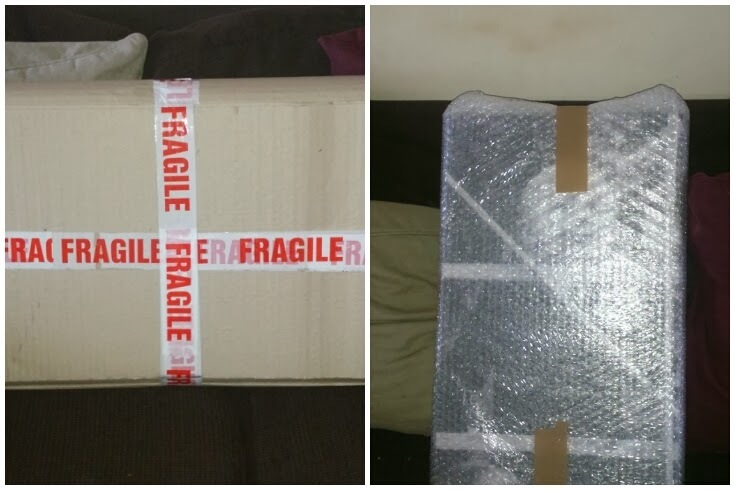 It came very well packaged as you can see below! As a result the canvas arrived in perfect condition! I then recieved a text Monday to give me a 1 hour time slot for delivery and the driver delivered my canvas bang on time! Excellent communication and delivery! So do you have a picture you would like to turn into a really beautiful canvas? Well I have a code for you do you can get 15% off your next order from CanvasdesignUK! Just use the code BLOG15 when you order from www.canvasdesign.co.uk. I've teamed up with the lovely people at CanvasdesignUK to be able to offer one of you the chance to win a canvas of your own! Just enter using the rafflecopter form below!! Open to UK residents only! The winner of the canvas will be able to have any picture of there choice made into a canvas between 6x6 inches up to 40x40inches! The winner will need to email me with there choice of picture along with a valid mobile number and delivery address so these can be passed on to CanvasdesignUK for your canvas to be made. Lovely give away, lovely product would be ecstatic if I won. You lucky thing it's a beautiful picture. The quality of their canvases is stunning. Great idea providing the print quality is good and doesnt pixelate the image.